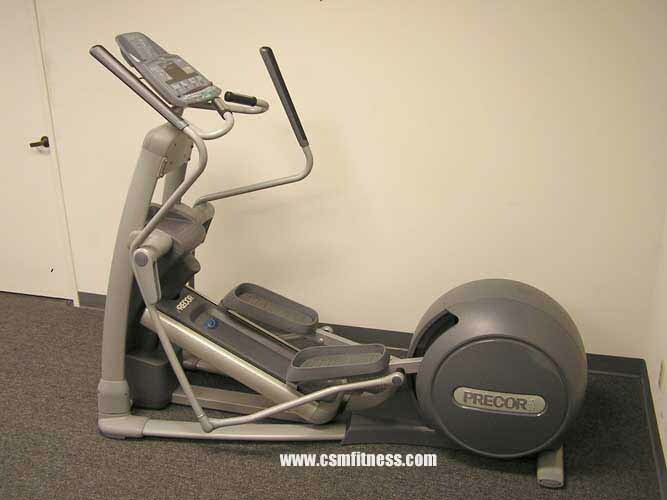 The Precor EFFX576i crosstrainer is a premium heavy commercial piece of equipment. It features the total body movements and arms, has 14 different program options, and an adjustable cross ramp. There is a great variety of workouts that you can get with this machine because there are many different programs and resistance levels. Some of the programs include; Cross Country, Crosstraining, Custom, Fitness Test, Gluteals, Heart Rate, Hill Climb, Interval, Manual, and Weight Loss. The display has the Tap Control ™ feature which control the cross ramp and the resistance. The touch heart rate sensors make it very easy for you to see you heart rate, they are easy to use and optimize fat burn.